The GLISTEN Meeting 2016 will be held at the Friedrich-Alexander Universität Erlangen-Nürnberg. All talks are given in the lecture hall (ground floor) of this building. Posters are presented in this building (second floor). Welcome reception and lunch on April 7th also take place in this building. Erlangen may be reached most easily via the nearby Nuremberg airport (ca. 15 km). To go to Erlangen, take the subway line U2 which leads directly to the Nürnberg main railroad station ("Hauptbahnhof") within 12 minutes. Subway trains depart every 10 minutes during daytime hours. Trains to Erlangen depart from the main railroad station about every 20 - 30 minutes. Taxis to Erlangen cost ca. EUR 25, but may be shared. Munich airport is approx. 160 km south of Erlangen. Train connections to Erlangen are via the "S-Bahn" (rapid tansit) to Munich central station, and then to Erlangen via Nürnberg. Connections may be less convenient than those via Frankfurt airport (see below), although Munich is closer. Frankfurt airport is approx. 240 km north-west of Erlangen. There are trains directly from the airport to Nürnberg where local trains to Erlangen depart every 20-30 min. during daytime hours. Some of the Frankfurt - Erlangen trains save time by connecting at Fürth rather than at Nuremberg central station. The conductor will advise you. Besides the train service from Munich airport (via Munich central station) and from Frankfurt airport to Erlangen approx. every 1.5-2.0 hrs. during the day, some German "Intercity" lines stop at Erlangen and most in Nuremberg where connections to Erlangen depart every 20-30 min. A block of 60 rooms has been reserved at the Hotel Bayerischer Hof for the two nights from April 6th to 8th. Additionally, a part of the contingent is also reserved for nights from April 5th-6th and 8th-9th. This hotel is located in closest proximity to the conference site. When booking the hotel please provide the contingent name "Glisten 2016". Please note: Room reservation has to be done by email (info@bayerischer-hof-erlangen.de) or phone (+49 (0)9131-7850). The online booking tool does not take account of our special prize contingent. Prize: € 95,- to € 102,- / night. The contingent is blocked until January 1st 2016. A block of 10 rooms has been reserved at the Hotel Altmann's Stube for the two nights from April 5th to 8th. This hotel is located within walking distance (10 min) to the conference site. Prize: € 75,- to € 82,- / night. The contingent is blocked until March 5th 2016. 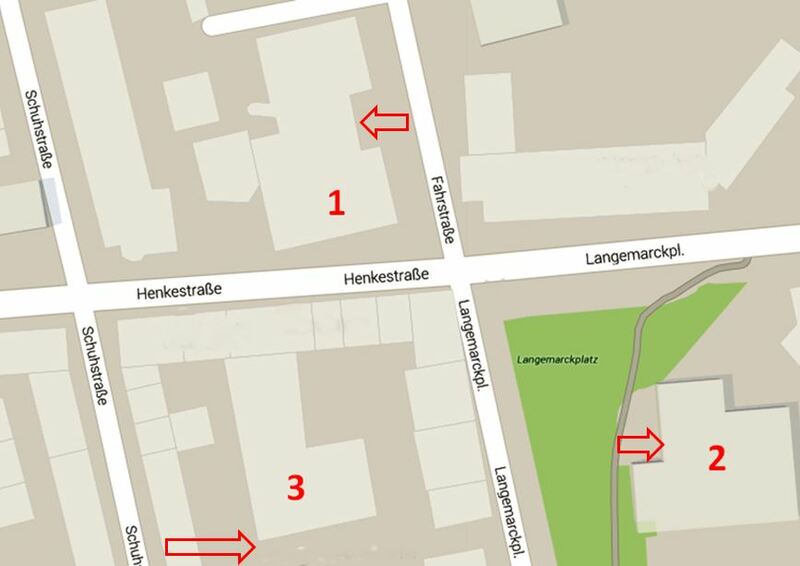 A block of 10 rooms has been reserved at the Hotel Rokokohaus for the two nights from April 6th to 8th. Prize: € 71,- to € 86,- / night. The contingent is blocked until March 6th 2016.